Gaines Kergosien has over 20 years of experience in software development and now works as Vice President, Corporate System Development Manager at AllianceBernstein. He also serves in the volunteer role of Executive Director for Music City Tech, including the Music City Code, Music City Agile, and Music City Data conferences. 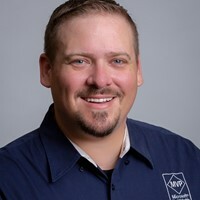 Much of his remaining free time is spent speaking on emerging technology trends at events across the globe and providing thought leadership as a Microsoft MVP. TLDR: Architects get relatively few opportunities to practice their craft, so we will group up to formulate architectural visions for "real world" business problems. Attendees will then evaluate each group's solution to gain insight into the pros and cons of different approaches. Fred Brooks said, "How do we get great designers? Great designers design, of course." So how do we get great architects? Great architects architect, but architecting a software system is a rare opportunity for the non-architect. For this, we turn to an ancient tradition, born of the martial arts, designed to give the student the opportunity to practice more than basics in a semi-realistic way. The coding kata, created by Dave Thomas, is an opportunity for the developer to try a language or tool to solve a problem slightly more complex than "Hello world". The architectural kata, like the coding kata, is an opportunity for the student-architect to practice architecting a software system. In this workshop, attendees will be split into small groups and given a "real world" business problem (the kata). Attendees will be expected to formulate an architectural vision for the project, asking questions (of the instructor) as necessary to better understand the requirements, then defend questions (posed by both the instructor and their fellow attendees) about their choice in technology and approach, and then evaluate others' efforts in a similar fashion. No equipment is necessary to participate--the great architect has no need of tools, just their mind and the customers' participation and feedback. Similar presentations previously titled, "How to be a Six Figure Developer" and "7 Habits of Highly Paid Developers". What innovations are the current generation of mixed reality devices capable of providing? Lets explore what a commercial augmented reality solution might look like using the Microsoft HoloLens and how you can get started building real business solutions. Making the leap to management isn't easy but, with the right skills and preparation, solving people and process problems can be incredibly rewarding and profitable. In fact, the experience and skills you've gained over the years may have prepared you for this new role without even realizing it! In this session we will explore how software engineering principals and patterns can guide your journey to becoming a successful development manager. We'll cover what the role entails, common hurdles, and the mental shift required to do it effectively. I've been working on a series of blog posts for over a year with the intention of publishing a guide on how to become a successful software development manager. Over time I began to notice a trend in the correlation of programming concepts to leadership strategies, so I decided to create a presentation which should resonate with developers and provide insight into how they might follow a similar path.